The question really should be how factories ‘have’ affected the environment, as there is no doubt that they have played a major role in the damage caused to the environment. In fact, it has been claimed that factories are to blame for as much as 2/3rds of the pollution that has caused climate change. As a result of the pollution that is created from toxic and dangerous materials into our environment, not only does the planet’s ecosystem come under threat, but our own health is potentially at risk too. Factories might not be the sole contributor to the man-made damage that continues to be done to the planet but they are certainly one of the biggest. Despite the efforts of governments the world over to reduce the amount of pollution that these factories pump into the atmosphere, there is still so much that has to change if we value our planet. Below you will find some of the major impacts that industrial pollution has caused to the environment. As we touched on earlier, a huge portion of climate change or global warming can be attributed to our reliance on industrial activities over the years. Toxic materials and gases are burned and released into the atmosphere, such as carbon dioxide and methane. Because these gases are able to absorb radiation from the sun, they have a direct impact on the temperature of the planet. Rise in the earth’s temperature. Risk of species of animals becoming extinct. An increase in tsunamis, typhoons, hurricanes, floods and other natural disasters. Furthermore, our very existence as human beings could be under threat too, not to mention the increased risk of us catching diseases such as cholera, malaria and Lyme Disease. Industrial factories have played a big part in the amount of air pollution that we as people have to endure. 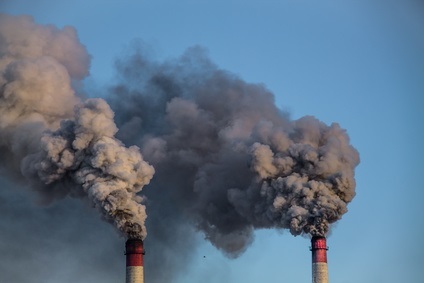 The toxic gases that factories release into the air, combined with those added by automobiles on the road, mean that we have an increased risk of developing chronic respiratory disease, lung cancer, heart disease and many other illnesses, diseases and conditions. Air pollution also has an effect on our wildlife and again could lead to species of plants and animals one day being made extinct. Factories are also a major contributing factor to water pollution across the globe. The illegal dumping of contaminated water, gases, chemicals, heavy metals or radioactive materials into major waterways causes damage to marine life and the environment as a whole. Not all factories will be responsible for this, but those found in less regulated parts of the planet will dump their toxic wastes into oceans or rivers to be rid of it a lot cheaper. Even the earth’s soil can become polluted, mainly due to industrial wastes being thrown into landfills. These chemicals and toxic materials can destroy the fertility of the soil, decrease the productivity of crops and even lead to the contamination of foods that we may eventually consume. As humans that are exposed to air pollution, water pollution and soil pollution among others, we also face an increased risk of falling victim to illness and disease. According to the World Health Organisation (WHO), 5% of those diagnosed with lung cancer will be due to extended exposure to pollution. A small percentage of chest infections, lung diseases and heart diseases can also be attributed to pollution according to the WHO. This has led to an increase in legal claims against workplaces due to workers being overly exposed to diesel pollution and other pollution while working. Royal Mail is just one such company that has faced these legal claims in recent years and many feel that it could open the doors for many more to face similar claims in years to come. Factories can also be directly blamed for destroying certain areas of nature on our beautiful planet. Our hunger for natural resources such as wood, coal and oil means that we are endangering many species as we go searching for it. Forests are torn down for wood which takes away the natural habitat or animals and other wildlife while mining also forces animals to look for somewhere else to live in the hope of survival. Oil spills, accidental leaks and the dumping of waste materials have also contributed to damage being done to wildlife. Due to all the reasons above, many species have come close to extinction and many more are likely to face a similar fate if we do not reduce the amount of damage we are doing to this planet in the future.